Moscow: Jose Mourinho backed Romelu Lukaku to ignore the hype about his superb start at Manchester United after the Belgian's brace set up a 4-1 victory over CSKA Moscow. 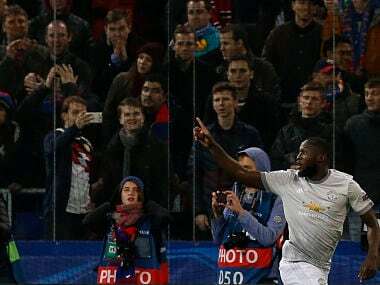 Lukaku, 24, scored twice at the VEB Arena on Wednesday to take his tally to 10 goals in his first nine United games and send Mourinho's men three points clear at the top of Champions League Group A. To date Lukaku has shown no sign of being burdened by his £75 million ($100.5 million, 85.5 million euros) price tag, but Mourinho said the former Everton striker was braced for the inevitable counter-currents ahead. "Amazing numbers for Romelu. He's humble, he wants to learn all the time, he wants to improve all the time," the United manager told reporters. "I think ambition is there and I don't think he's going to be very impressed with your great words because he knows that when things are not going well, your words are also strong in a negative way." "I trust that he can keep performing for us." Victory was secure inside 27 minutes for United, who were 3-0 up before their hosts had time to gather their senses. Paired together at the sharp end of a novel 3-4-1-2 formation, Lukaku and Anthony Martial clicked instantly, the Frenchman crossing for Lukaku to head in United's opener in the fourth minute. After scoring a penalty in the 18th minute, Martial laid on Lukaku's third goal and Henrikh Mkhitaryan added a fourth just shy of the hour before Konstantin Kuchaev purloined an anecdotal consolation. 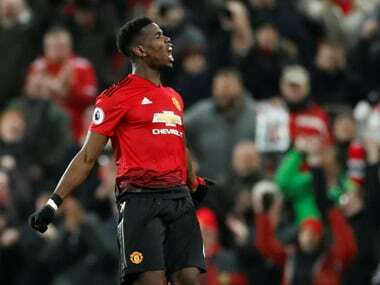 Mourinho's only gripe was that United now face a quick turnaround before Saturday afternoon's visit of bottom club Crystal Palace in the Premier League. "The team is solid, the team is playing well," said Mourinho, whose team are level on points with league leaders Manchester City. "We start the competitions strong, August and September really strong in all the competitions. "We have now just one more game, a difficult one, against a fresh team when we are still here (in Moscow) and we have a game on Saturday at three o'clock." While Mourinho's pre-match claim that this was the strongest CSKA team he had faced rang hollow, he said the scoreline was more a reflection of United's strengths than the home side's failings. "It was my best team too," he said when asked to account for CSKA's poor showing. "It's true. I came here of course with very good teams — Chelsea, Inter (Milan), Real Madrid — but I think this was the strongest performance." 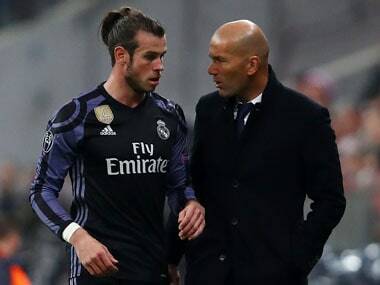 "With Real Madrid and Inter we came for the knockout phase. We came to play for a very specific result. We were happy with the goal. We were happy with the 1-0, the 1-1. "Today we were really strong. It was my strongest performance here." 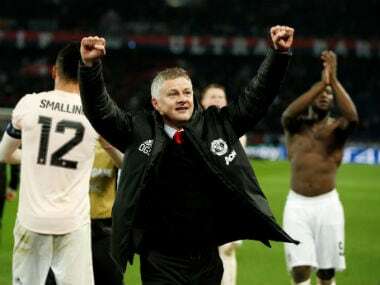 CSKA coach Viktor Goncharenko admitted United's unfamiliar shape had caught him by surprise and expressed admiration for the speed with which Mourinho's players rediscovered their shape after losing possession. "When you have 70 percent of ball possession and after losing the ball you return so quickly to defence, it's beyond my understanding," said the Belarusian. "Manchester played in another scheme. Many things were different to what we observed. We were getting ready for one scheme and the opponent played in a completely different scheme." CSKA's greying centre-backs Sergei Ignashevich and Vasili Berezutski were repeatedly exposed by the forward bursts of Lukaku and Martial, but Goncharenko was reluctant to single out individuals. "When your opponents destroy you, it's hard to talk about individual players," he said. Mourinho had chastised his players for playing "PlayStation football" in the latter stages of their 3-0 win over Basel in their Group A opener, but he was more forgiving of the lapses that allowed Kuchaev to score. "There was not so much PlayStation football tonight, just a little bit of relaxation," he said. "That is normal."